Creative and original kids sticker of a cow that is also a blackboard. Brilliant decal for home decor. 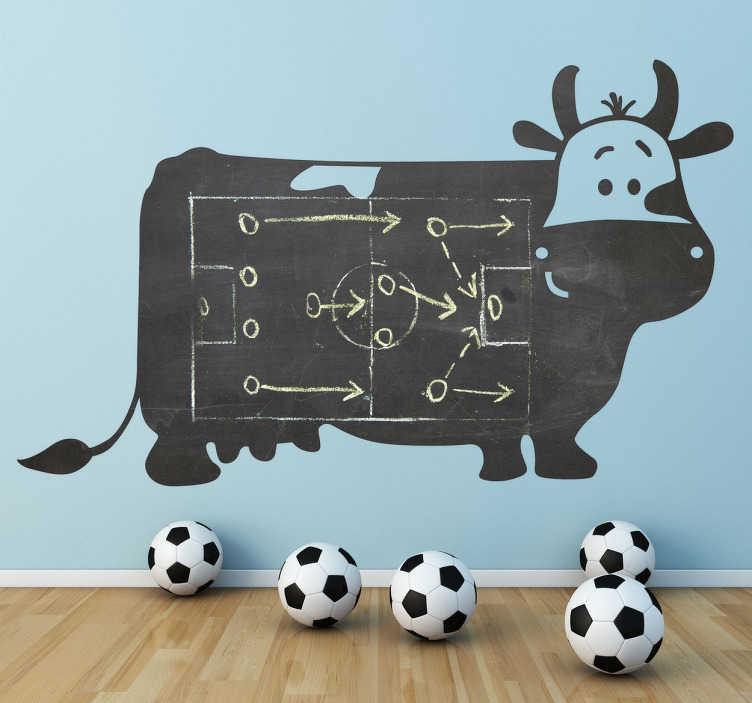 Now you can decorate your children's room with funny stickers including this hilarious picture of a dairy cow. In addition, this sticker allows you to draw on it with chalk. A sticker for the little ones at home. Let the kids have some fun and get creative with this blackboard sticker. Easy to apply and easy to remove made with anti-bubble vinyl.